Welcome to RV Mattress Protectors by Mattress Safe. We are a family-owned business, committed to providing high quality products that keep your family safe and comfortable while they sleep, at home or on the road. 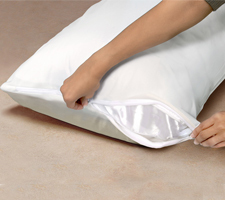 Our popular RV mattress protectors, bed sheets, and other products are the result of tireless efforts in the control of bacteria, dust mites, and bed bugs while protecting sleepers from incontinence, bedwetting, and common spills. All our products are completely machine-washable for effortless care. 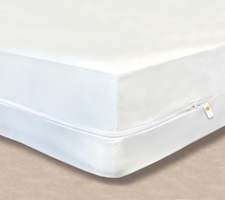 Each product is uniquely engineered to fit upholstered surfaces, including mattresses, in your choice of mattress protector for RV's and campers. 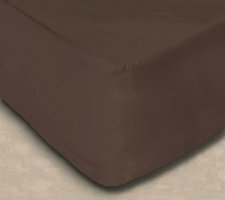 Mattress Safe RV mattress covers provides complete, waterproof protection in a conveniently sized mattress encasement. The Essential Camper's Sheet™ coordinates with pillow protectors and a full line of accessories. 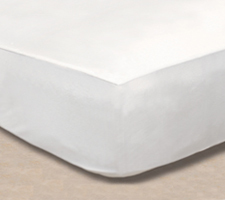 For the ultimate in convenience, The Essential Camper's Sheet™ offers the combined comfort and protection of a mattress protector and fitted sheet in one versatile product that is available in multiple convenient sizes to fit various sized mattresses. We invite you to review the complete website for detailed information about our fine products and information on the health and safety advantages of using protective bedding in your RV, camper, truck, or at home.